INDONESIA-based Tokopedia, has two digital innovation to aid merchants in anticipation of the year end increase in demand. The two new features are Saldo Prioritas and Voucher Toko. Saldo Prioritas offers payment in advance to merchants when they submit a delivery receipt. This feature is the first of its kind in the Indonesian e-commerce space. Saldo Prioritas will plug the cashflow gap an order delivery and completion by the merchant. Voucher Toko facilitates sellers in creating their own promotional vouchers, such as cashback or delivery fee discounts, for new and existing buyers in Tokopedia. Sellers who apply for Saldo Prioritas can get 80% of their payment in advance. The remaining amount will be paid over after the buyers confirm that they have received the goods. “Ever since I found out about Saldo Prioritas, I always have stock in my inventory. Previously, I had to wait until the buyer confirmed the payment before I restocked my goods. Waiting for their confirmation could take a while, but now that problem is solved thanks to Saldo Prioritas,” said Jajang, the owner of the Taman Hijau Daun store in Jakarta. Voucher Toko gives many benefits to merchants. 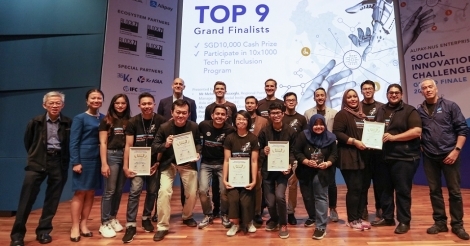 Ever since its launch in November 2018, this feature has received a positive response from sellers and buyers on Tokopedia. Currently, more than 30,000 merchants have utilised this feature as a promotional means. One of them is Azi Fahrurozi, owner of the Zeitgeist Leather Store. “I tried to create a lot of promotional voucher codes. Many customers are happy and quite enthusiastic about shopping at my store after finding promotions from my vouchers,” said Azi.